Vancouver Pen Club: Happy St. Patrick's Day! 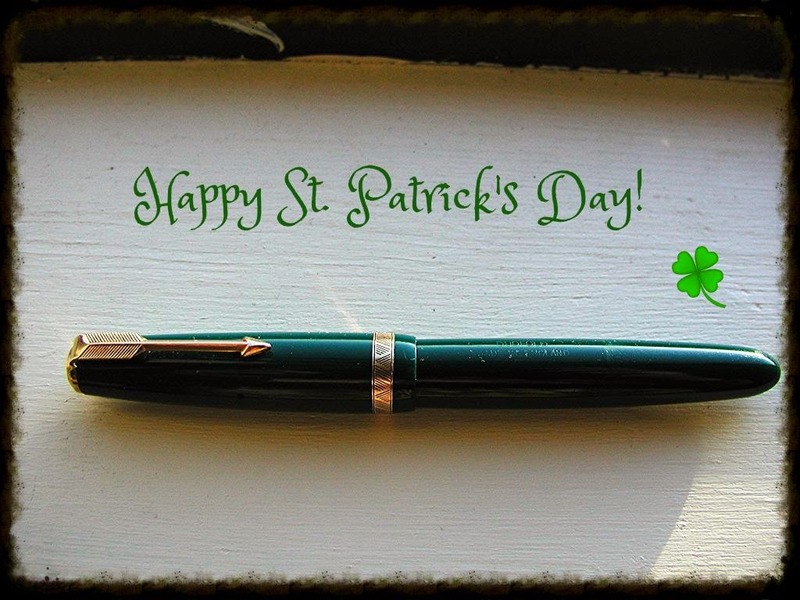 The pen in the photo above is a green Parker UK Duofold, a somewhat lesser-known (and underrated) vintage Parker fountain pen. For more information on this fountain pen model, check out this page on Tony Fischier's awesome Parker pens reference site. And, just a quick reminder that our next meeting is this Thursday March 20 at 6:30pm at Perks pen store (5844 Cambie Street, Vancouver, BC). The meeting theme is "Our Favourite Pen, Ink, Ink+Pen Combo and Favourite Paper", so I hope you can make it. No need to RSVP---just drop by and see what our club is all about. New members are always welcome!